The fun thing about restaurant dining is everyone in your family can get something different! The very thing we avoid when we are cooking for our family at home. If you’ve ever said before “I’m only making one meal tonight, you eat it or you don’t”, you know what I’m talking about! But this is also the reason we love a good old home style buffet- The potato bar, the oatmeal bar, the salad bar, pasta bar, taco bar, etc. 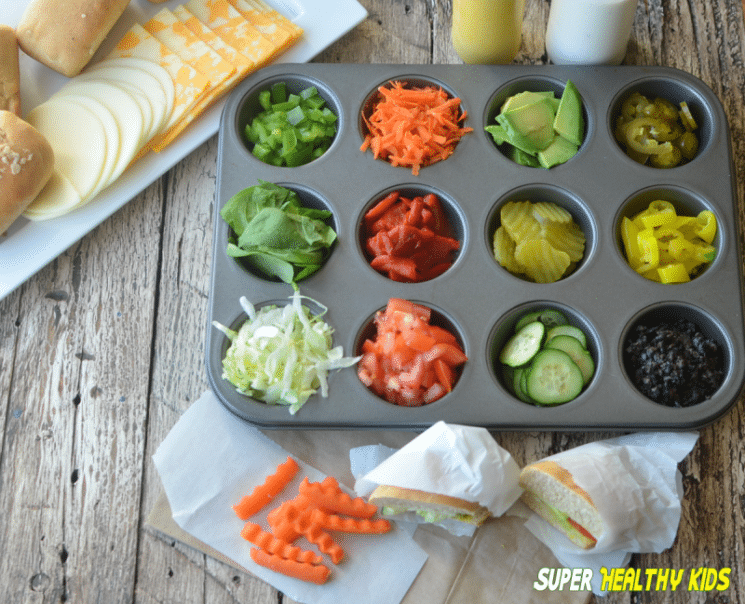 Today we’re offering “The Sandwich Bar”- Subway style! 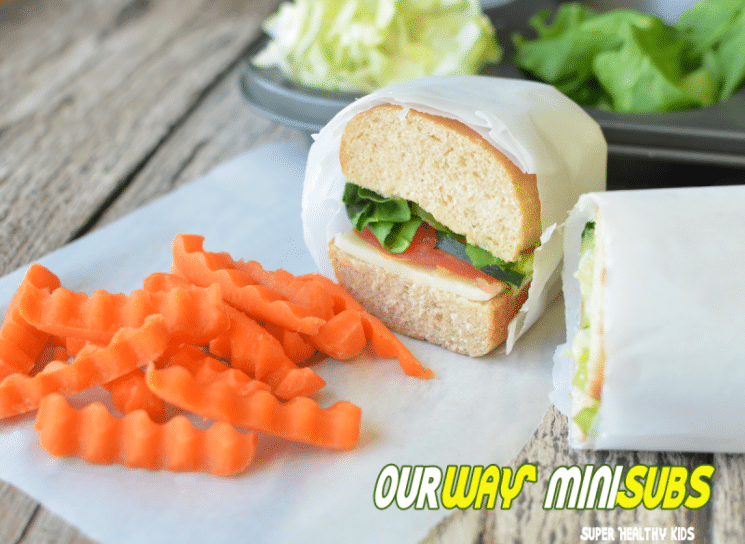 To make our sandwich bar just like Subway’s, we had two things in mind. One, to make our hoagie rolls. And second, to find as many veggie toppings as we could come up with. 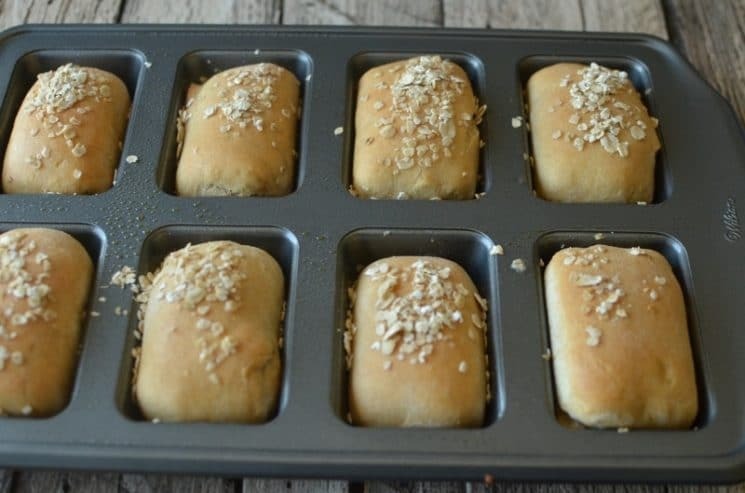 We then baked our bread in a mini loaf pan– because we like small things! 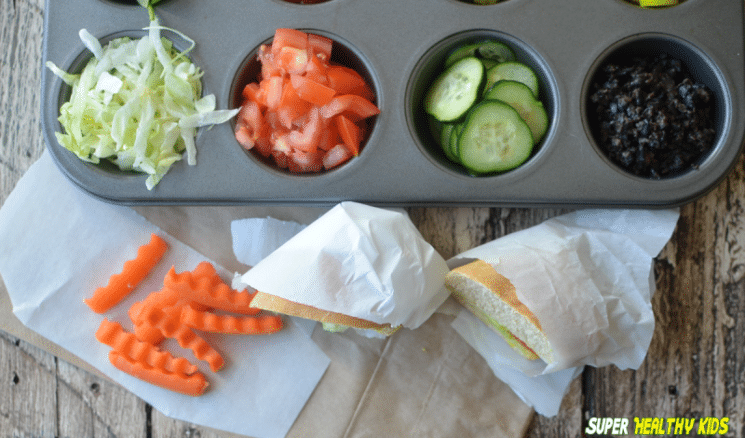 You don’t need a loaf pan. You can also divide your bread into 8 logs and bake it on a cookie sheet. Our condiments, we used mustard or homemade ranch dressing. And there you have it! 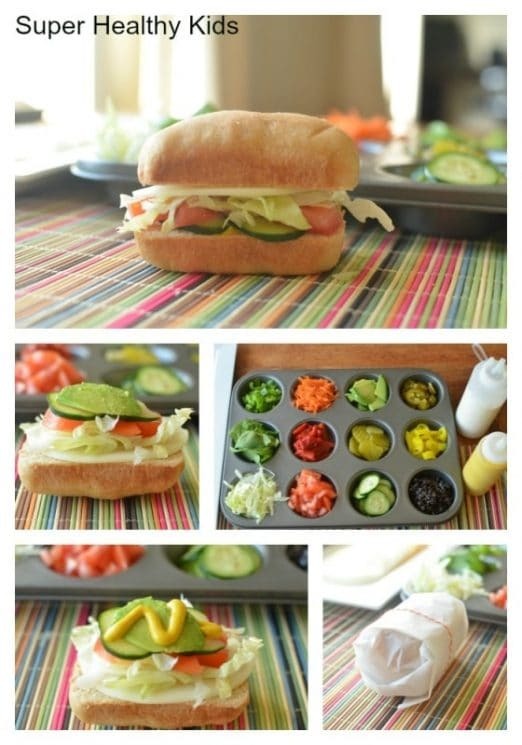 The kids can assemble their sandwiches to their liking! What did you use to cut your carrot fries? What is vital wheat gluten? Is it a must in the recipe? I was also wondering about the vital wheat gluten. 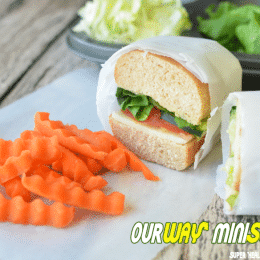 @magdalena, ChrissyW- Vital Wheat gluten does a great job of holding bread together. Without it, it seems to get crumbly. It’s definitely not necessary though. Is wheat gluten and wheat germ the same thing? Can you use any other oil in place of Grapeseed ? Any liquid oil will work Karen. Vegetable, canola, or olive oil. I added it after the flour, when I realized it doesn’t mention it.